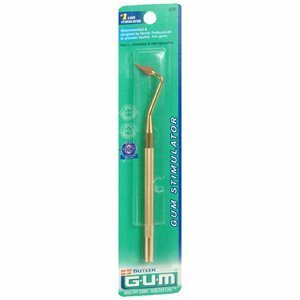 View More In Gum Stimulators. Apply light pressure and a circular motion to massage the gums. Repeat from tooth to tooth. If you have any questions about this product by Choice, contact us by completing and submitting the form below. If you are looking for a specif part number, please include it with your message. 7124253 PT# 411PC Toothbrush GUM Adult Full Soft Bristles w/ Stimulator 12/Pk Made by Sunstar Americas, Inc by "BND-Sunstar Americas, Inc"
GUM Stimulator Combo - Purchase 36 Tips - Get A Stimulator Handle FREE!! !